Trusty Cash Rewards is an android app which pays you for completing offers and various other tasks. When your friend enters your referral code you both get 25 points. You can redeem your points for PayPal cash, Amazon Gift cards, Bitcoin and Play store voucher. 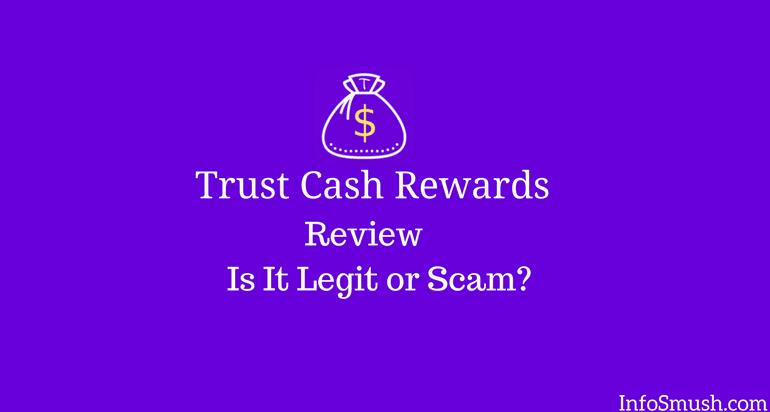 Trusty Cash Rewards used to pay before but not anymore. There are a lot of complaints against the app. Users redeemed their rewards but never received them. The app has 4.7 rating on Play Store because it gives points for giving the app 5-star rating and writing a positive review. A legit app never pays for giving five stars. Easy CRYPTO multi-currency mining pool & 1-click GUI miner.